This is a fiber optic halloween costume. It is battery operated and glows / lights up when the button is turned on. 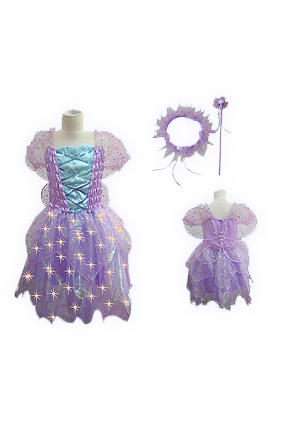 The costume comes with the matching headband, wings and wand. Please check exact size before buying by looking at the measurements given below.